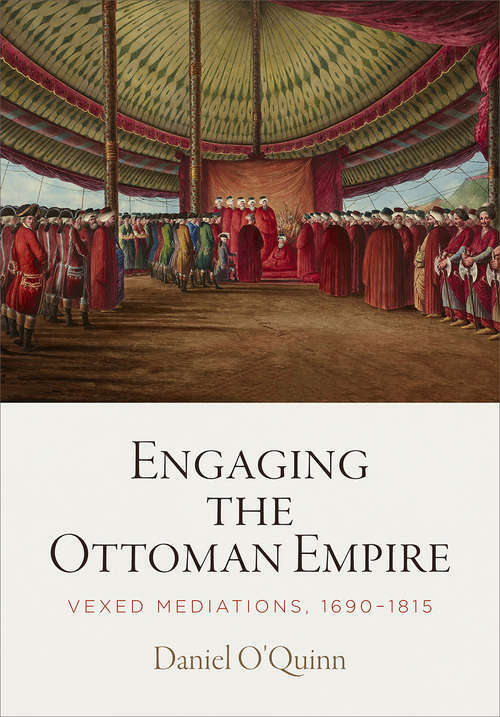 Daniel O'Quinn investigates the complex interpersonal, political, and aesthetic relationships between Europeans and Ottomans in the long eighteenth century. Bookmarking his analysis with the conflict leading to the 1699 Treaty of Karlowitz on one end and the 1815 bid for Greek independence on the other, he follows the fortunes of notable British, Dutch, and French diplomats to the Sublime Porte of the Ottoman Empire as they lived and worked according to the capitulations surrendered to the Sultan.Closely reading a mixed archive of drawings, maps, letters, dispatches, memoirs, travel narratives, engraved books, paintings, poems, and architecture, O'Quinn demonstrates the extent to which the Ottoman state was not only the subject of historical curiosity in Europe but also a key foil against which Western theories of governance were articulated. Juxtaposing narrative accounts of diplomatic life in Constantinople, such as those contained in the letters of Lady Mary Wortley Montagu, wife of the English ambassador, with visual depictions such as those of the costumes of the Ottoman elite produced by the French-Flemish painter Jean Baptiste Vanmour, he traces the dissemination of European representations and interpretations of the Ottoman Empire throughout eighteenth-century material culture.In a series of eight interlocking chapters, O'Quinn presents sustained and detailed case studies of particular objects, personalities, and historical contexts, framing intercultural encounters between East and West through a set of key concerns: translation, mediation, sociability, and hospitality. Richly illustrated and provocatively argued, Engaging the Ottoman Empire demonstrates that study of the Ottoman world is vital to understanding European modernity.